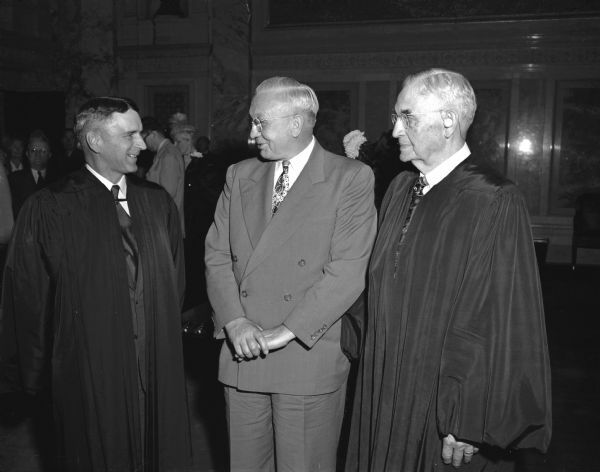 Group portrait of newly sworn-in Justice of the Supreme Court, Timothy Brown, at left, with Governor Oscar Rennebohm, center, and Chief Justice Marvin B. Rosenberry, at right. One of two images. Published in the Wisconsin State Journal September 11, 1949.